I have great reviews to share about my upcoming picture book, Brave Ballerina! A little background: Brave Ballerina: The Story of Janet Collins is the story of a remarkable dancer who became the first African American prima ballerina to perform with the Metropolitan Opera House in 1951. While never compromising her values and self-worth, she pursued her dreams with a passion in a time of rampant racial discrimination and segregation. Brave Ballerina has also been named a Junior Library Guild selection! (Woot Woot!) They review thousands of advance copies of books each year and make selections to help libraries throughout the country choose books for their collections. So I went to the Decatur Book Festival this weekend, and what a good time it was! On Saturday I had the chance to listen to Angie Thomas being interviewed about her groundbreaking book "The Hate You Give," on Sunday I listened to Ijeoma Oluo speak about her phenomenal book "So You Want To Talk About Race", and I also got the chance to speak in front of kids about "Mommy's Khimar" on the children's book panel! Tom Angelberger (far left), Shanda McCloskey (middle left), me (middle right), and Anica Mrose Rissi (far right) on the children's book panel. My one regret was missing the kidnote and keynote speaker but I'll definitely clear my schedule to make sure I see them next year. One of my favs, Claire Almon, a fantastically gifted illustrator from Atlanta, stopped by to see my on the panel!! This weekend is the AJC Decatur Book Festival, the largest independent book festival in the country where more than 1,000 world-class authors and hundreds of festival-goers will gather in the city of downtown Decatur, Georgia, to enjoy book signings, author readings, panel discussions, live music, parades, writing workshops, poetry slams, and so much more! I'm taking part in the festivities this year, as well! I'll be on the children's book panel for the "You Go, Girl!" presentation at the Decatur Recreation Center along with the authors Tom Angleberger, Shanda McCloskey and Anica Mrose Rissi! YAY!!! Hope to see you there and while you're at it, check out all the other amazing authors and illustrators, too. I'm excited to share the news that I will illustrate the picture book biography about the amazing Olympic gymnast champion, Simone Biles! 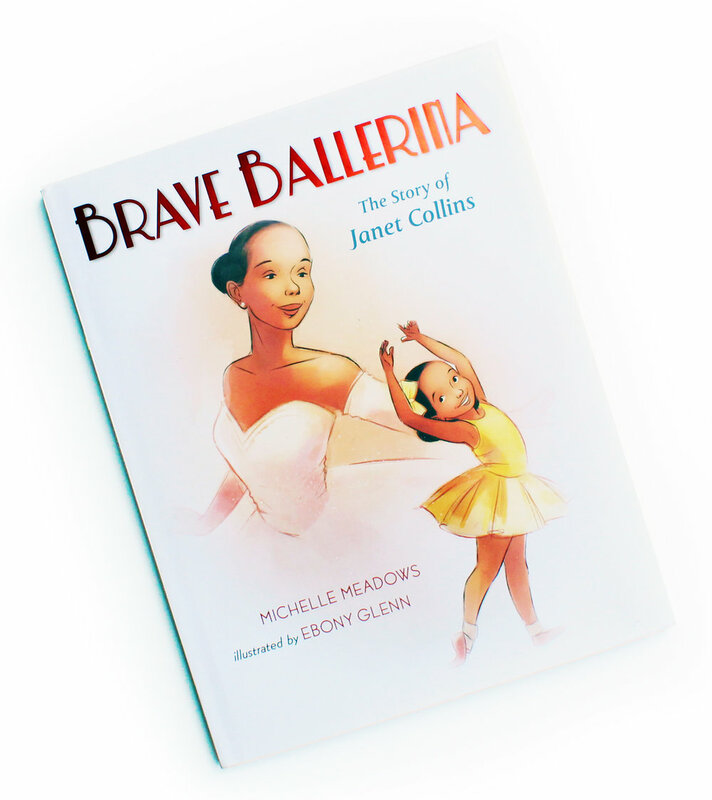 Set to be published in 2020, "Flying High: The Story of Simone Biles" is written by the lovely Michelle Meadows, who also wrote "Brave Ballerina: The Story of Janet Collins." How cool is that?! I get to work on another children's book about an inspirational black woman who overcame unbeatable odds by the same talented author and publisher! And a huge congrats to Simone for becoming the first woman to win five US Gymnastics all-around titles this past Sunday at the US Gymnastics National Championships! She's earned a total of 16 gold medals across every discipline and is definitely on her way to making even more history at the 2020 Olympics in Tokyo, Japan.